Following menopause, this hormonal imbalance causes many women to also face a higher risk of coronary disease and higher cholesterol levels, as well as loss of bone mass that can lead to osteoporosis. KC Medical & Wellness Center uses customized hormone treatments for women who have entered menopause or are post-menopausal. This therapy is different from all others because it’s made from natural components, using the same hormones that were in your body but have decreased through aging and the onset of menopause. Since this treatment is comprised of the identical chemical and molecular structure that your body naturally produced, it has numerous benefits over synthetic hormones. How Does BHRT Help the Symptoms of Menopause? Bioidentical Hormone Replacement Therapy, or BHRT, uses hormones that are identical to the ones you have lost with the onset of menopause. Although your body is no longer producing these hormones, BHRT will re-introduce the hormones you’ve lost, safely and effectively. Unlike women who take synthetic hormones, patients using this treatment experience few side effects. Your symptoms will begin to disappear soon after you begin your customized treatment. Once your original hormone levels have been restored, you’ll begin to look and feel like you did years—even decades—earlier. The risks associated with menopause and post-menopause will being to reverse themselves. When you visit KC Medical & Wellness Center, we will set aside time to talk to you about your overall health, including your health history, and the changes you’ve experienced with the onset of menopause. Then, we will give you a comprehensive medical exam and blood tests that will help us determine your customized plan. This plan is designed just for your body and may include various levels of natural estrogen and progesterone. After your treatment begins, we will ask you to return to our Center for weekly, bi-weekly, or monthly follow-up appointments. 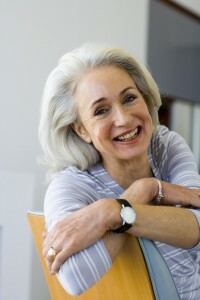 We’ve helped many women regain their physical and emotional health and well-being BHRT menopause therapy. Call or contact KC Medical & Wellness Center today to make an appointment.